It looks like Top Gun II is back on again after the death of Tony Scott shot the sequel project down to earth in a ball of flames. Our sister site i09 has it that Top Gun II’s plot will feature Tom Cruise proving that a human in the cockpit still cannot be beat by a drone. The only problem is that this movie has already been made and the result was really pretty horrific. In fact the numbers do the talking, the film grossed about half of its budget. 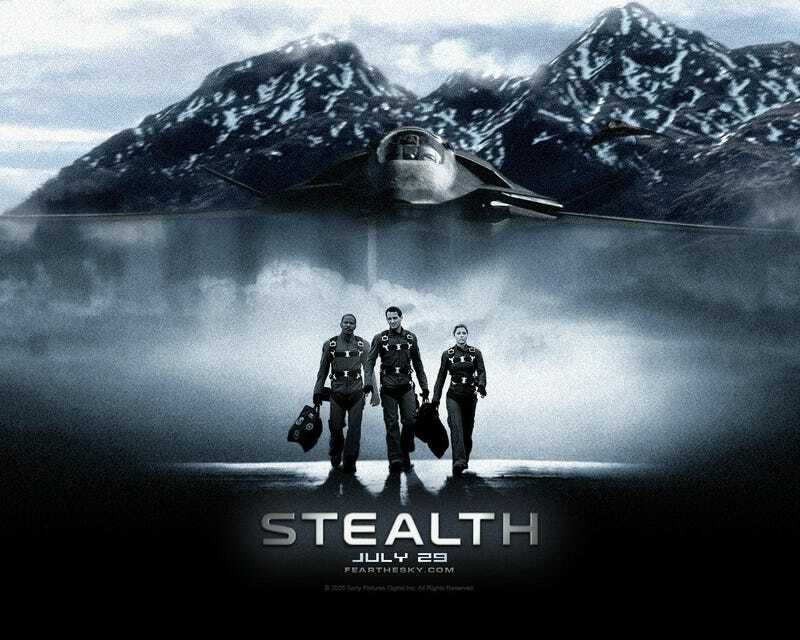 One thing that Stealth brought me personally was a never ending armada of forwarded emails showing off the Navy’s “new F/A-37 Talon” secret fighter, which actually happened to be the fake fighter from this crummy motion picture. As far as a good Top Gun II plot goes, I think the best one possible is obvious: It is 2015, and tensions are rising between the US and Iran, which has recently sent its F-14 Tomcats to China (or even better, Russia) for an extreme upgrade. Now, through an ironic turn of events, US Navy pilots flying Super Hornets may have to take on the legendary Tomcat in a more potent form than ever before. One retired fighter pilot knows the Tomcat better than anyone else, and has applied it to great success in combat. That one pilot is Captain Pete “Maverick” Mitchell. Will Mitchell, who left the Navy under negative circumstances, accept their urgent request for his Tomcat expertise? Can Maverick teach the young gun “Rhino” drivers how to defeat the very steed he learned to master and love? Or will Iran’s “Persian Kitties” have their way with America’s “weak” Super Hornets, and in the process get the bomb? Find out in theaters during Summer 2016! Dare I ask my Foxtrot Alpha readers what they think a good Top Gun II plot would be? Give it your best shot below guys!